Carcinogenic radon gas can be found in homes across the country, and some areas in New York are particularly prone to radon issues. In October 2017, radon testing in the Hudson Valley identified more than 4,000 homes with radon levels that exceeded the Environmental Protection Agency’s recommended guidelines. The tests were conducted in Dutchess, Orange, Putnam, Rockland, Ulster and Westchester counties. In Dutchess County, nearly half of all the basements that were tested had elevated radon levels. Meanwhile, in Rockland and Westchester counties, only about 15 percent of basements had radon levels above the recommended limit. According to the EPA, indoor radon levels should not exceed 4 picocuries per liter (pCi/L). 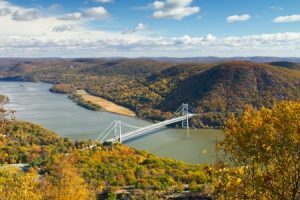 During this latest round of testing, the New York Health Department found 4,438 homes in the Hudson Valley with radon levels that registered higher than 4 pCi/L. In Putnam County, Interim Health Commissioner Michael J. Nesheiwat, MD has attributed the county’s unusually high lung cancer fatality rate to the presence of radon gas. The good news is, radon testing is cheaper and more accessible than ever. You can even order a radon test kit from the New York Health Department for a fee of $11. If the test confirms that you have elevated radon levels in your home, we can typically remediate the problem with active sub-slab depressurization. This process uses a system of plumbing pipes and fans to divert radon gas safely away from your home. To learn more about the radon testing and remediation techniques we employ at Radon Zapper, please feel free to give us a call or contact us online today!